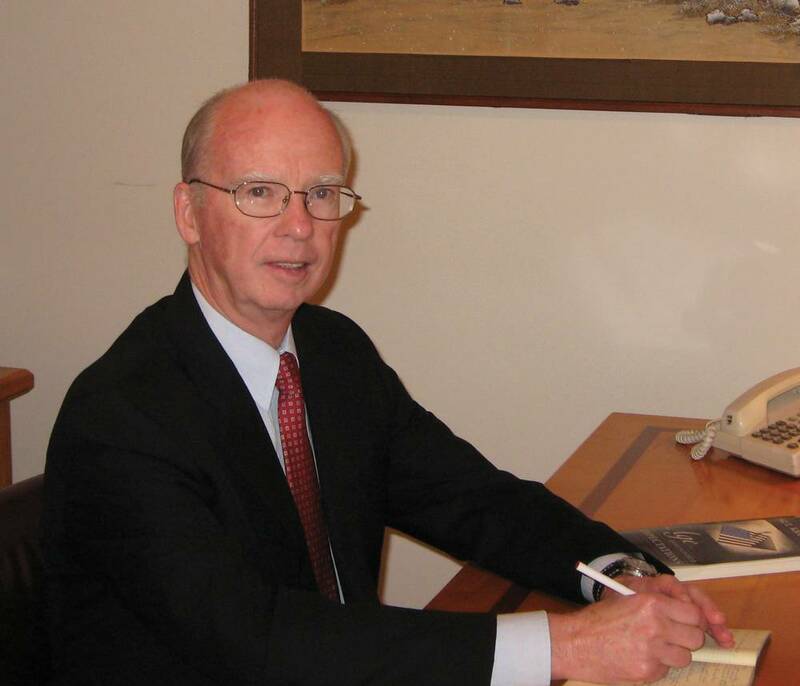 Jim McCaul International Maritime Associates, Inc. Since the beginning of this year, orders have been placed for 17 floating production systems. The combined value of the fabrication contracts exceeds $16 billion. By year end there will likely be another five to eight contracts awarded and the overall contract value for the year will exceed $20 billion. Floating production systems inventory – 269 floating production units are now in service or available. FPSOs account for 61% of the existing systems. The balance is comprised of production semis, tension leg platforms, production spars, production barges and floating regasification/storage units. Another 93 floating storage/offloading units (without production capability) are in service. 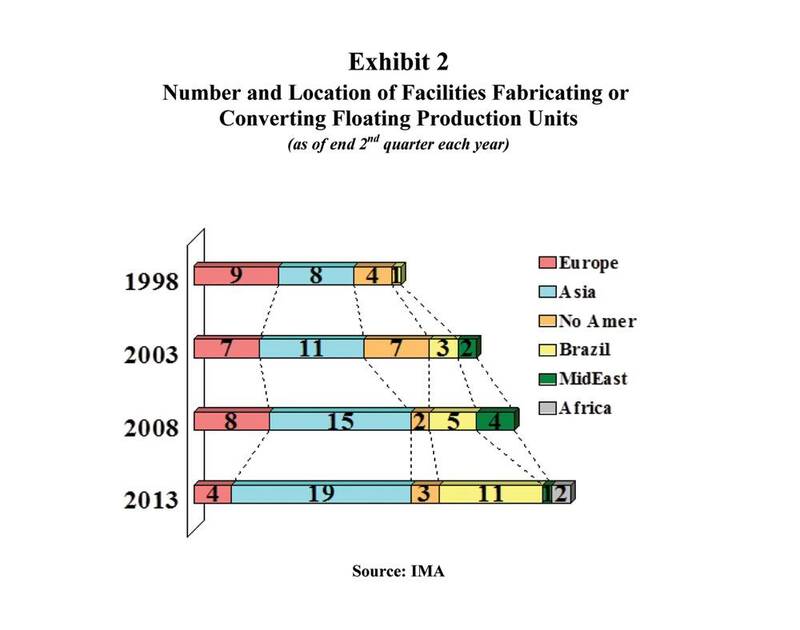 The number of production floaters has been growing steadily – there are 22% more units than five years ago, almost 80% more than 10 years back. Including units that have been scrapped, almost 300 floating production units have been delivered since the mid-1970s when floating production began. Current order backlog – 72 production floaters are now on order, consisting of 40 FPSOs, six production semis, five TLPs, four spars, one barge, four FLNGs and 12 FSRUs. Delivery of the equipment will grow the production floater inventory by 27%. In the backlog are 46 units utilizing purpose-built hulls, 26 units based on converted tanker hulls and 1 unit being modified from an existing production semi Of the production floaters being built, 41 are owned by field operators, 31 are being supplied by leasing contractors. 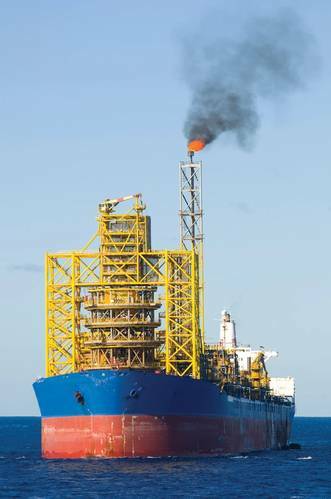 Brazil continues to dominate orders for production floaters – 23 units are being built for use offshore Brazil, 32% of the order backlog. Future demand – Floating production is still in the exponential phase of growth and underlying industry demand drivers are very strong. Key signs – oil prices, planned projects, drilling activity – point to accelerating requirements for new floating production systems over the next five to ten years. The portfolio of new floating production projects under study or planned worldwide keeps increasing. As of July there were 241 new floater projects in the bidding, design or planning stage. These are declared discoveries that likely require a production floater for development. A year ago 233 projects were in the planning, design or bidding stage. Five years ago, the figure was 141 projects. Ten years back, 94 projects. Singapore yards Keppel, Jurong, Sembawang are major players in converting existing tankers to FPSOs and FSOs. For example, Keppel has a contract with SBM to convert a Suezmax-size tanker to an FPSO for lease to Shell for use in the Gulf of Mexico, a $1 billion project. Jurong just delivered a $0.8 billion FPSO conversion to Modec for use by OGX offshore Brazil. Sembawang has an EPCCI contract from ExxonMobil to convert a VLCC to a $0.3 billion FSO for use in Indonesia. Chinese yards CSSC, COSCO and CSIC are big players in building or converting hulls to be used as FPSOs. For example, CSSC Chengxi was recently contracted by SBM to convert two VLCC hulls for subsequent outfitting in a local Brazilian facility as FPSOs for use offshore Brazil. COSCO Dalian has contracts from Modec to convert two VLCC hulls for subsequent outfitting as FPSOs at a local Brazilian facility. CSIC Dalian has a contract from CNOOC to build an FPSO for use on a field in the South China Sea. Brazilian yards, some still in the formative stage, have recently emerged as major players in the FPSO fabrication business. They are all focused on the local market. Ecovix is building eight FPSO hulls at Rio Grande Sul for use by Petrobras. A consortium formed by Odebrecht is converting four VLCCs to FPSOs in Inhauma shipyard (ex-Ishibras), also for use by Petrobras. A third yard, UCN Acu, which is not finished, was to convert two VLCCs to FPSOs for OGX and integrate two other FPSOs for Petrobras. This plan has been disrupted by financial turmoil in OGX. 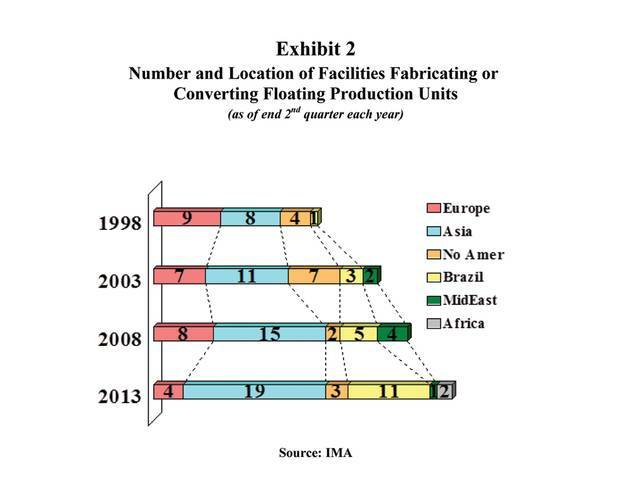 Other facilities such as Brasfels, Quip, Brasa and Maua are involved in final integration of production floaters. In other areas, MMHE/Technip in Johor (Malaysia) is building a large TLP for Shell for use offshore Malaysia. Paenal, a new yard in Porto Aboim (Angola), is contracted to finish topsides work on two FPSOs being built for offshore Angola. Technip is fabricating a production spar hull for Anadarko at its facility in Pori (Finland). In the U.S., Kiewit and GIFI have contracts to fabricate and integrate topsides for several production floaters destined for the Gulf of Mexico. Is there space for others? – Absolutely. The floating production sector is still in the early stages of development, the pace of orders for new equipment is growing, production floater technology continues to evolve and cost pressures in Korea, Singapore, China, etc. will impact future pricing competitiveness of many current players. There will be many future opportunities to position in this market space. Around 50% of FPSOs and 20% of FSOs utilize purpose built new hulls. Shipyards with Suezmax and VLCC building berths can target positioning in this market. Typical FPSO/FSO new hulls cost $100 to 150 million, but can be as much as $450 million depending on size and owner specification. While stringent offshore service standards apply to the hull construction, the work scope is limited to completion of the hull. Topside fabrication and integration is under separate contract(s) and when finished, the hull is towed to another facility for completion. The balance of FPSOs and FSOs are conversions of trading tankers. Ship repair yards with drydocking capability for extended conversion of large tankers can target this conversion business. Of course, there are entry issues. The quality standards for FPSO conversion are more demanding than typical commercial ship repair and upgrade – and the scope of work can be much more complex, as the yard will typically be responsible for the entire conversion project. But this is a growth market that could interest ship repair yards looking for new markets. • Module fabrication – An FPSO topsides is an assembly of prefabricated modules that house process plant equipment, power systems, accommodation facilities, etc. Each module is designed and engineered to be lifted and readily installed on the FPSO topside. Complex, large FPSOs can involve 15 to 20 modules in total weighing as much as 15,000 tons. Module fabrication could be an interesting market opportunity for yards that have substantial space for steel assembly and can work to stringent tolerances and offshore standards. Leapfrogging existing technology is another entry path. Recently, for example, we advised an investor on the feasibility of building standardized barge-mounted regas plants that would be leased to small power consumers as part of a network of LNG reception facilities. A shipyard could align with an engineering partner and leasing contractor to develop and offer such a product line of standardized regas barges. The customer would be utilities and power plants on islands and in areas that lack pipeline access. But this is only an example. There are many other possibilities for leveraging product development to enter this market sector. But there are barriers to entry. (3) frame agreements and established customer/supplier relationships that exclude new entrants. This is also a very conservative industry in terms of accepting unproven suppliers who have no record of production floater performance. Production semis – Orders for 8 to 11 production semis are expected. The most likely forecast is 9 orders. All will be purpose-built hulls. Most will be directly ordered by field operators, a few will be ordered by leasing contractors or midstream companies. Construction contract value is estimated in the area of $12 billion. Production spars – Orders for 5 to 10 spars are expected. The most likely forecast is 8 orders. All will be purpose-built. Most will be directly ordered by field operators, a few will be ordered by midstream companies. Construction contract value is estimated around $7 billion. TLPs – Orders for 4 to 6 TLPs are expected, with the most likely forecast being 5 orders. All will be purpose-built. Most, if not all, will be directly ordered by field operators. Construction contract value is estimated to be in the area of $6 billion. FLNGs – Orders for 2 to 10 FLNGs are possible. Most likely forecast is 8 orders. The wide forecast range reflects technical and commercial issues still to be resolved. Construction cost is likely in the range of $25 billion, but could be much higher or lower. FSRUs – Orders for 15 to 23 FSRUs are likely. The most likely forecast is 20 orders. This is a rapidly expanding market sector. Construction cost is estimated in the area of $5 billion, but could be much higher. FSOs – Orders for 25 to 35 FSOs are expected, with the most likely forecast being 30 orders. Around 33 percent will be purpose-built units. The remainder will be based on converted tanker hulls. Total construction cost is estimated around $4 billion. IMA provides market analysis and strategic planning advice to companies in the marine and offshore sectors. Over the past 40 years we have performed more than 350 business consulting assignments for 170+ clients in 40+ countries. Advising clients on market positioning strategy in the offshore sector is one of our specialties. We have assisted numerous shipbuilders, ship repair yards and equipment manufacturers in formulating a strategy and structuring a plan of action to penetrate the offshore market.